Our Pharmacy Practice residency program was first accredited by ASHP in 1988. Our PGY1 and PGY2 programs have been re-accredited in recent years. 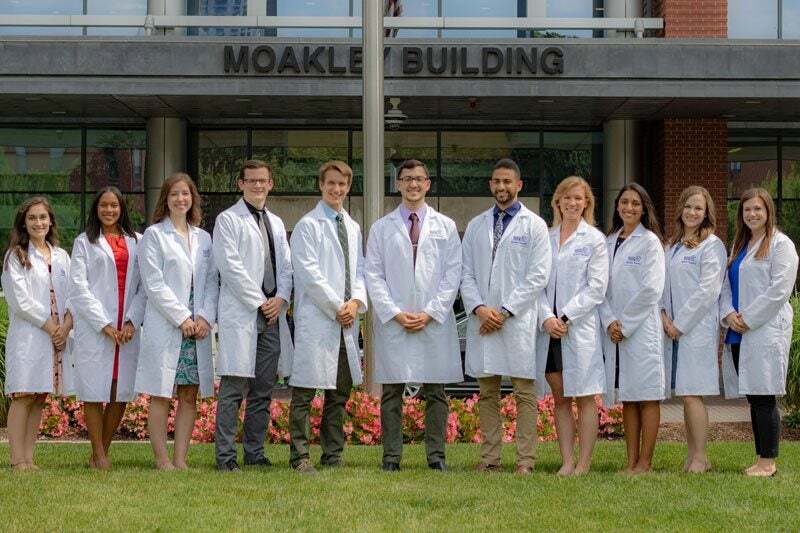 We are proud of the contributions that over 130 BMC residency graduates have made to advance the profession of pharmacy through patient care, scholarship, and leadership in their professional careers. To learn more about our current residents, please click on the pictures below! Dr. Burton is from Weymouth, Massachusetts. She graduated from Northeastern University in Boston, MA in 2018. Her clinical areas of interest include Emergency Medicine and Critical Care. In her spare time, she likes to be active, work out, bake, and travel as often as possible. A fun fact about Danielle is that she has visited 17 different countries! Dr. Matthew Lamb is from North Kingstown, Rhode Island. He graduated from the University of Rhode Island in 2018. His areas of interest include emergency medicine and critical care. In his spare time, he likes traveling, sports, and exercising his taste buds. An interesting fact about him is that he survived the Running of the Bulls in Pamplona, Spain. Dr. Nikitha Patel is from Princeton, New Jersey. 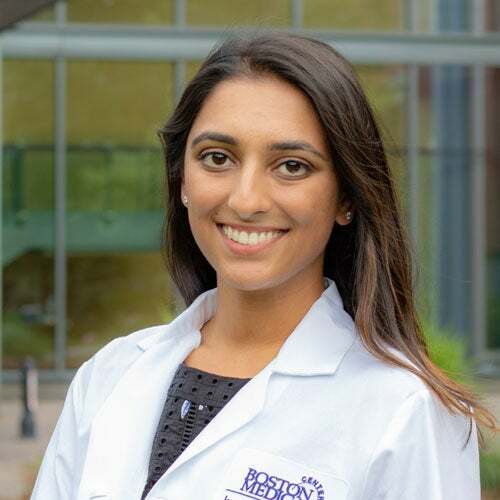 She graduated from Virginia Commonwealth University School of Pharmacy in Richmond, Virginia in 2018. Her areas of interest include oncology and internal medicine. In her spare time, she likes to dance, hike, and try new restaurants. An interesting fact about Nikki is that she once performed a solo dance routine for over 20,000 people! 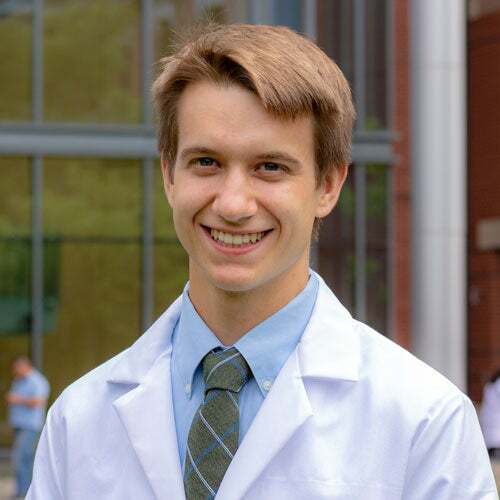 Dr. Nicholas Rebold is originally from Fairfax, Virginia. 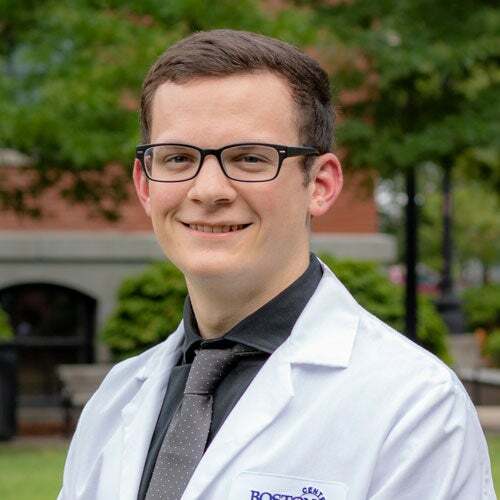 He graduated from VCU School of Pharmacy in 2018. His areas of interest include infectious diseases, ambulatory care, and psychiatric medications. In his spare time, he likes to indoor rock climb, play video games, and play board games with friends. A fun fact is that Nick grew up on the island of Maui, Hawaii, where he met Oprah once! Dr. David Fett is from Newark, Delaware. 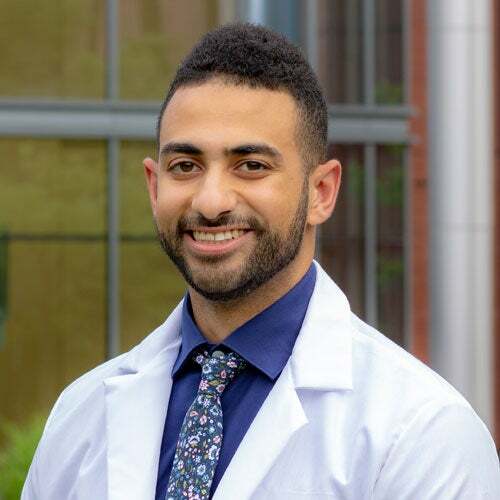 He graduated from Rutgers University in New Jersey in 2017 and completed his PGY-1 residency at Boston Medical Center this past year. In his spare time, he likes to travel, run, and play with his abnormally large bunny. He is often ridiculed by his co-residents for being a picky eater and is known to order $50+ dollar steaks well-done. Dr. Matthew Girgis is from Toronto, Ontario. 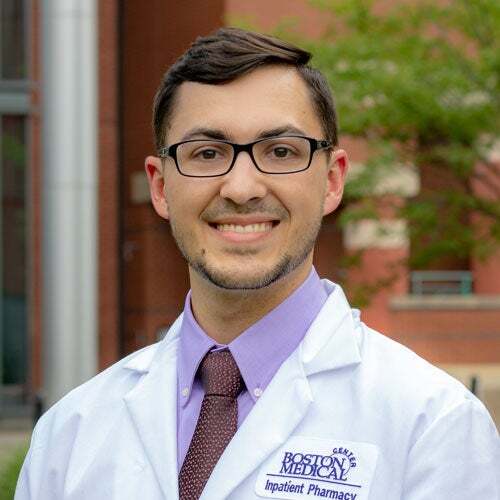 He graduated from MCPHS University in 2017 and completed his PGY-1 residency at Hartford Hospital in Hartford, Connecticut. His areas of interest include infectious diseases, pain management, and critical care. In his spare time, he likes to play guitar, and watch hockey/Hell's Kitchen. A fun fact about Matt is that he still doesn't know how to grocery shop. Dr. Greer is from Kansas City, MO. 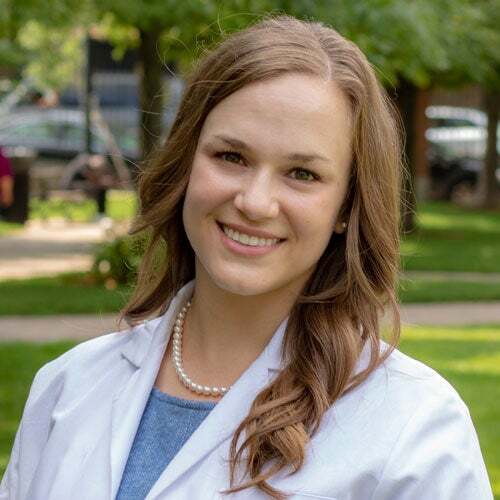 She graduated from the University of Missouri-Kansas City in 2017 and completed her Community PGY1 residency at Cleveland Clinic in Cleveland, Ohio. Her areas of interest include ambulatory care and chronic disease management. In her spare time, she likes to explore new places, spend time with family and friends, be outside and try various foods. A fun fact is she bakes cupcakes for special events in her spare time. Dr. Molly Merz is from South Paris, Maine. 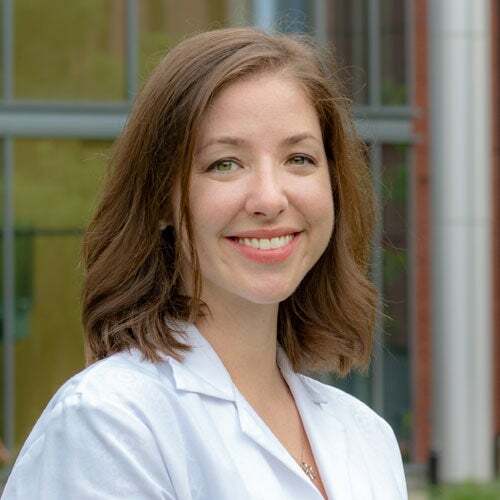 She graduated from the UNC Eshelman School of Pharmacy in Chapel Hill, North Carolina in 2017 and completed her PGY-1 at Boston Medical Center this past year. Her areas of interest include neurology and critical care. In her spare time, she likes to travel, do yoga, and try new restaurants. 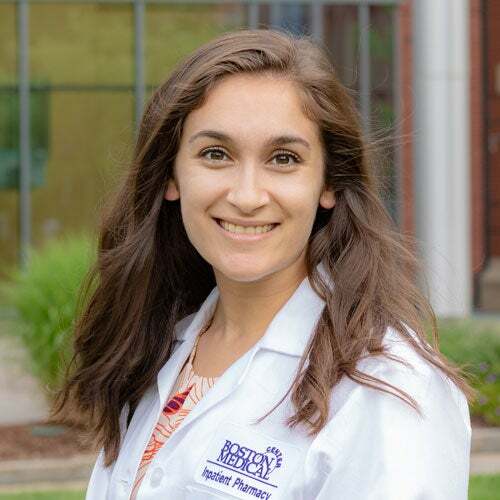 Molly is fluent in French and lived in Rennes, France for a year prior to starting pharmacy school where she taught English as a second language! Dr. Smack was born and raised in Pocatello, Idaho. 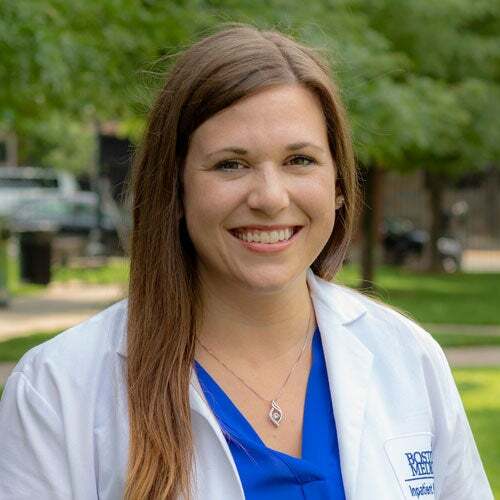 She graduated from Roseman University of Health Sciences in 2017 and completed her PGY1 residency at Memorial Hermann Hospital System in Houston, Texas. In her spare time, she likes to travel, try new foods and visit family. Pharmacy has led her on many exciting adventures; she's lived in a different state every year for the past four years! Makenna enjoys building new friendships and loves staying connected with pharmacy colleagues across the country. 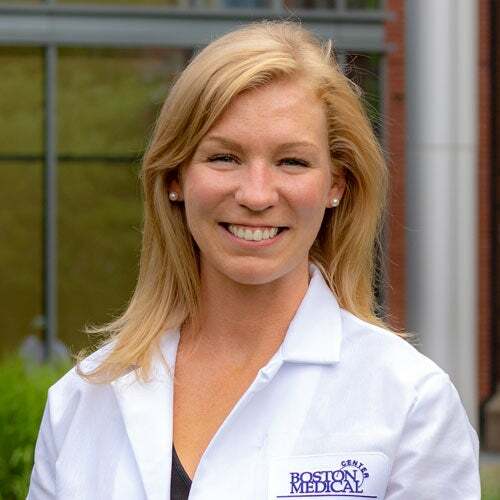 Dr. Megan Trombi is from Leominster, MA. She graduated from Northeastern University in 2018. Her areas of interest include emergency medicine, critical care, and infectious disease. In her spare time, she likes to dance, try new restaurants and play board games. A fun fact is that she once ate 15 scoops of ice cream at the Jimmy Fund Scooper Bowl!